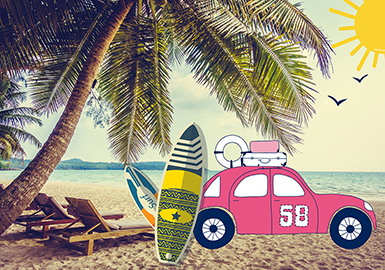 Cars are essential in our life, the cool colorful cars emerge as a new direction for kidswear. Comics are hot on youthful activewear such as T-shirts and sweatshirts, and they continue to prevail. American comics, cartoon characters, realistic drawings and simple sketches gain traction. 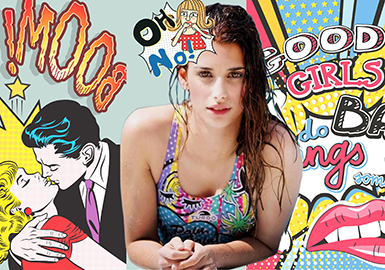 Dramatic colors and feminine graphics are saucy and offbeat. 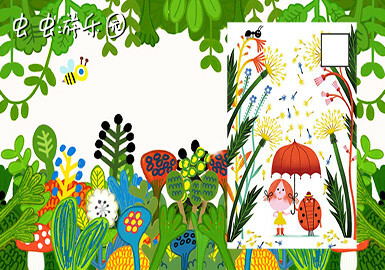 Colorful and different insects are good friends of kids. Little insects fly or play in forests, fields and among flowers. Insects bring naivety to kidswear. 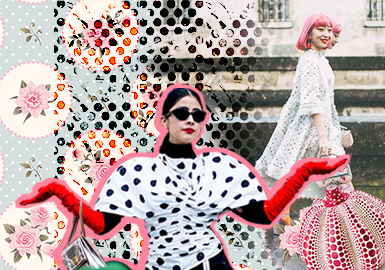 Dots and spots show new trends in A/W 19/20. Lines made up of spots and background dots add depth and charm to traditional prints, while irregularly scattered and layered spots bring vividness. Hand-painted dots nod to the commercial success of micro pattern, and hidden kitsch motifs update this staple. 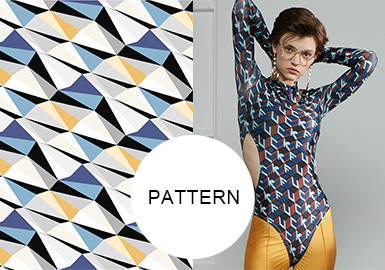 Small-scale, busy repeats are key. For mature styles, limit colors and scale down further. Hand drawings appear on printed fabrics for expressive effects. This theme cherishes the concept of time well spent, and the virtue of slowing down, and sees kids' prints and graphics with a subtle pre-loved charm, inspired by the comforts of the home and near-now vintage. Designers take the best of the past to inspire the future, and embrace heritage and craft to create beautiful , timeless pieces with trans-seasonal appeal. 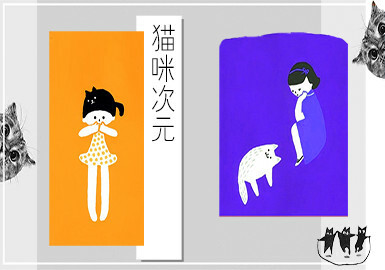 Cats are everywhere in the world and sweet cat elements infiltrate our life. 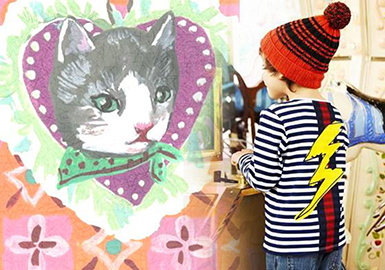 This season, cats are applied on kidswear through a variety of ways. Ocean harbors life and is imbued with natural treasures. 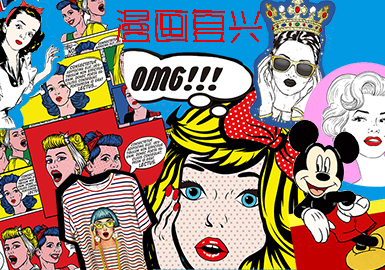 It inspires many brands such as Dolce & Gabbana and Monnalisa for all-over prints. Treasure of Ocean is all about marine creatures, interpreting a colorful underwater world with paintings. A variety of crafts are applied to add newness. Forests are the main terrestrial ecosystems, the earth's lungs. 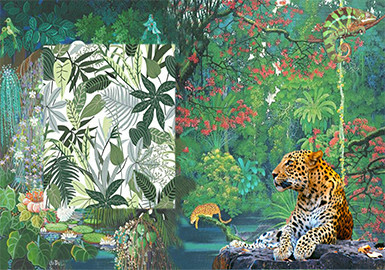 The 2018 S/S series is inspired by the forest , seeing the various plants, colorful birds and fierce animals birds or ferocious beast appear on the garments. The all-over application is the key in this season. 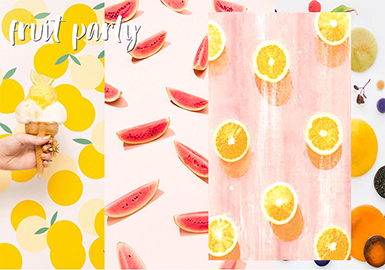 This theme takes cues from garden blooms, feeling the vitality of nature. Vittorio Accornero was inspired by Flora and designed a silk scarf named "Flora" for Princess Grace, which has become an iconic item of Gucci. This season, the patterns on scarves revive on Gucci’s catwalk, focusing on retro florals. 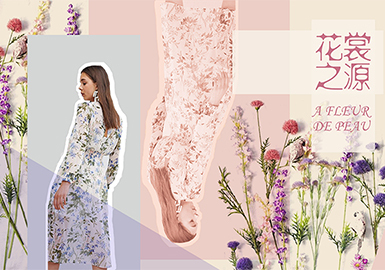 Garden plants including roses, ditsy flowers and herbs appear on dresses in multiple brights and statement layout, full of vibrancy. Realistic drawings and large-scale photo-like prints are key, while floral sequins are also eye-catching. 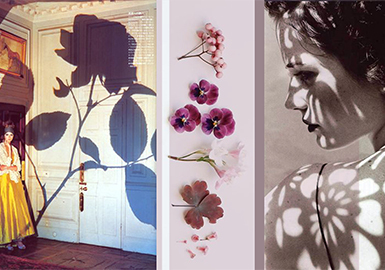 Flowers are simple but not dull, with smooth lines creating an exquisite and layered look. Color is important, adding a lively touch to the patterns. Crafts such as applique, sequins and beading are notable in this season. Colorful and varied flavors of fruit is the gift of nature, and has a natural appeal to children. It is key design to watch in this season. 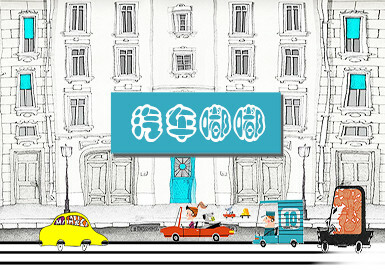 The engraving patterns, playful and creative illustration design and simple printing brings a fresh summery atmosphere. The Olympic fever fades after the two-week-long Pyeongchang Winter Olympics ended, but athletic elements still inspire fashion design. Stella Jean's A/W 18/19 collection combines diverse aesthetics with sport references, adding patterns such as sportsman, athletic field and logo to apparel. It applies print, embroidery, bead and sequin to add depth. The unknown ocean which harbors life encourages us to adventure. 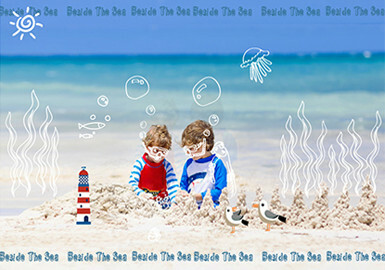 In S/S 2019, kids' brands take inspiration from sea for pattern design. 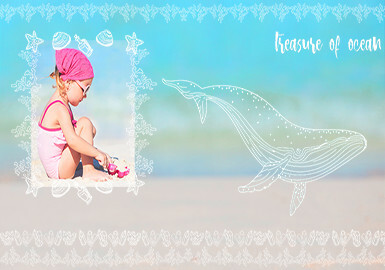 This report teams marine elements with kidswear to tell a story from the perspective of adventure, featuring cute animal doodles, sketchy sailboats, lighthouses and fresh, diverse stripes. With the rapid development of information, we can travel to coastal cities at all times. Balancing work with recreation is a common lifestyle nowadays, expressing carefree and independent attitudes and keeping a comfortable state. 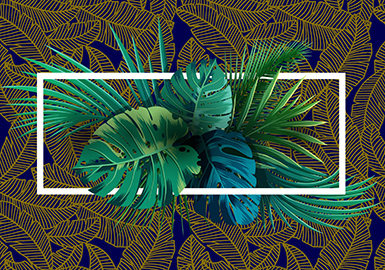 This report provides different tropical plant patterns for activewear or business wear, combining with easy-to-wear colors to highlight the smartness and vibrancy of men. Surfing is derived from Australia, and Australians are fond of this sport. Surrounded by sea, this country is warm, sunny and rains a little, ideal for water sports. 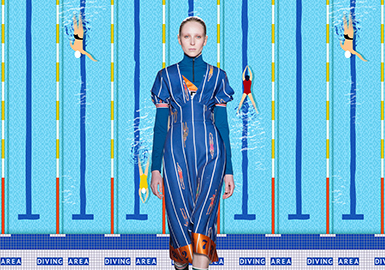 In S/S 2018, Fendi and Stella McCartney apply surfing patterns, adding playfulness with color-blocking illustrations.